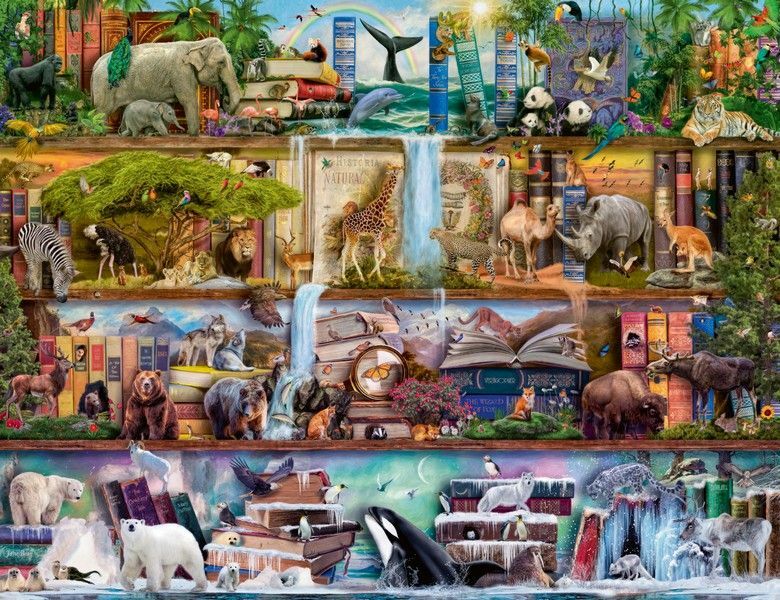 A world of wildlife walks, flies, climbs and swims across this very special set of bookshelves. Asian elephants rub shoulders with flamingos, wolves watch over brown bears, and a snow leopard peers down to the ocean home of a killer whale. A waterfall tumbles from shelf to shelf, whilst an icy ocean on the bottom shelf represents colder climes. This intricate and colourful design contains huge amounts of detail and will ensure many hours of puzzling fun! 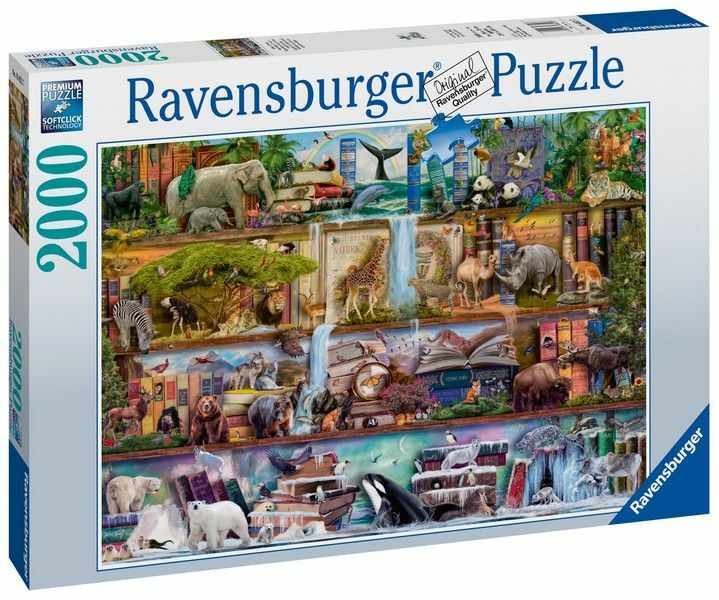 High quality 2000 piece cardboard jigsaw puzzle. The finished puzzle measures 98 x 75cm when complete. Suitable for ages 12 years and up. Made from strong premium grade cardboard, with linen finish print to minimise glare on puzzle image.